Innsbruck University is located in a beautiful environment, surrounded by mountains and rivers, and has accrued much exciting historical experiences since its founding in 1669. Under such natural and humanistic ambiance, nurtured many outstanding Nobel prize winners, and the school has invited nearly 20 professors, whom have won the Nobel prize, to teach at its university. Its Faculty of Social and Economic Science consists of 14 department and institutes providing economy, business administration, international management, business education, and political science related courses. Moreover, the college also offers specialized professional courses for teachers, export managers, business managers, and tour guides. 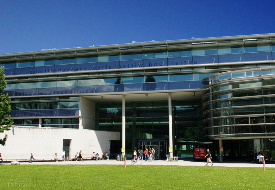 The rich and diverse curriculum designs have made University of Innsbruck one of the top premier institutions of higher education in Austria. 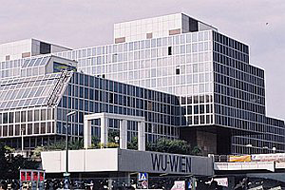 Founded in 1898, the Vienna University of Economics and Business Administration is a comprehensive university with a long history. Particularly, the university internationally renowned for its field in economics and business administration, and is the largest university in Europe in such discipline. The school's educational mission is to adapt to the rapidly changing job market in order to cultivate business executives, and establish various specialized education so that graduates can quickly adjust to the requirements of various professions domestically and internationally. The university is comprised of four colleges and a number of cross-disciplinary graduate institutes. Its economy and business administration programs are especially well-known in Europe and worldwide since the program contents are scientific, practical and visionary, and have cultivated countless high-level international business leaders.